ONLY 19 per cent of us will retire comfortably and Gen X Aussies will have to save up to $4 million dollars to enjoy their golden years, according to new research. 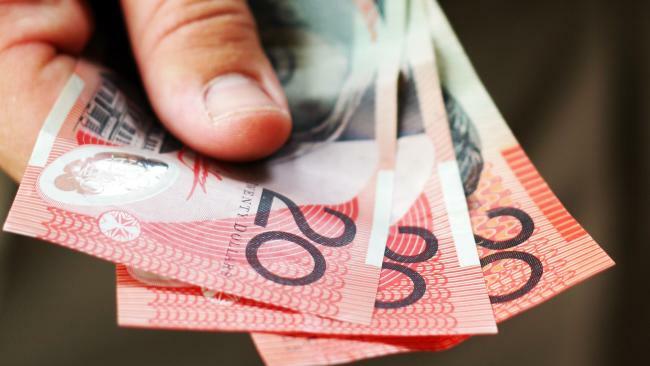 This means a whopping 81.3 per cent of Australians could fall short when it comes to being able to afford a comfortable retirement, according to the stats from Griffith University and leading financial education service, No More Practice Education. The alarming forecasts show that if you're born after 1984, you are likely to need between $2.09 - $3.98 million dollars for a comfortable self-funded retirement in 26 years' time. According to SuperGuide, a couple expect to enjoy a "comfortable" life in retirement today if they can generate an annual income of $59,971 by retiring with a superannuation lump sum of at least $615,000. Leader and Founder of No More Practice Education Vanessa Stoykov said the age pension today covers only a third of what is considered a "comfortable lifestyle" in retirement. "Although these numbers highlight the 'worst case' situation, preparing for this low growth scenario is essential because it's been occurring in countries like Japan for the past two decades, so there is nothing to say it won't happen to us too," Ms Stoykov said. Luckily, an enormous $3.5 trillion dollars is expected to be passed on from Australian Baby Boomers to their children over the next 20 years, according to McCrindle Research. From this, 75 per cent of all Gen X and Y with surviving parents will inherit $110,000, and if invested wisely, these funds could set up their future. However, without smart investment, this would create a significant event that's being dubbed "the economic tsunami". "The expected inheritance figure is a huge amount of money that Gen X and Y is predicted to receive, however the unfortunate truth is that Australians simply don't know how to invest it," said Ms Stoykov. "Through decades of experience in the wealth creation space I've learnt that to truly grow long-term wealth, people need to 'unlearn' everything they think they know about money. are going to be able to do. "The good news is that reinvention is the new retirement, and it's entirely possible for Generation X and Y to achieve their goals. "Although it's daunting, the reality is that for a comfortable retirement each person in today's terms will require $1.11 million (at 5 per cent earnings rate with no age pension), or $910,000 (at 7 per cent). "This is no easy feat, and although it's entirely possible to achieve, it takes time, so people have to start now." 1. Acknowledge bad habits. Take an online self-assessment questionnaire will help determine exactly what you need to unlearn about money. 2. Focus more on the long term, rather than short term goals. It's important to think about and make a list of your long-term future goals and ambitions so you have something to work towards. 3. Stop placing too much value on materialistic items. 4. Change what you believe. Many people fail because they are too trusting in what they learned from their parents and upbringing. 5. Be prepared to take action. Even if you follow all of the above steps, often the hardest thing to commit to is actually doing something to change your situation.